Parees, the mural intervention festival of Oviedo, is a cultural, social, and artistic event bringing artists and citizens together to offer the city a new look through its walls. From September 1 to 30, 2018, Oviedo will be full of color! The walls narrate the history of their cities and build the symbolic identity of their inhabitants, hence the importance of restoring the pieces made in Oviedo during the muralist movement of the 80s. The artists immerse themselves in the reality of a particular location, working interactively and consensually within the social fabric of the neighborhood and the city to then create their final vision and artistic proposal. Within the framework of the festival walls are commissioned to bring to the city work made by relevant artists of the graffiti and mural scene, both internationally and nationally. We think it is important to underpin the actions and interventions that are going to be carried out in the Parees festival with a theoretical basis that reflects on them and the city we want to build. That is why Parees has activities covering topics such as art, urban art, society, urbanism, public space, gender and more. Why wall interventions in Parees? Walls have always told us stories because there is an innate need in people to express themselves on and through the walls that surround them. That is why we want to give prominence to artists´ interventions on the walls of the city. We speak of muralism because this concept encompasses all the techniques, styles and artistic expressions that walls can support, always containing a social commitment. We attach great importance to linking the interventions with the reality that surrounds them. We have a team of artistic mediators (Raposu Roxu) to immerse the artists in that reality through participatory processes with key agents, associations and neighborhood communities to develop consensus and a common vision between artists, neighbours and citizens in general. In this way, it becomes possible to realise artistic work integrated into the social needs of its environment. 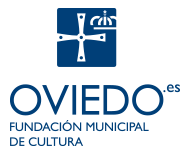 The project is entirely subsidized by the Municipal Culture Foundation of the City of Oviedo. For us this represents a commitment to society. For this reason, we offer artists, producers, collaborators and coordinators decent fees, maintenance, accident insurance, and friendly and respectful treatment. For all interventions the walls that will house the artistic works are checked and prepared properly to ensure maximum durability. If necessary, walls are cleaned with water under pressure and cracks repaired, prior to the application of appropriate primers. In each edition of Parees, we offer a bicycle tour through the murals made. In this way we promote responsible mobility practices to support a new sustainable city model.